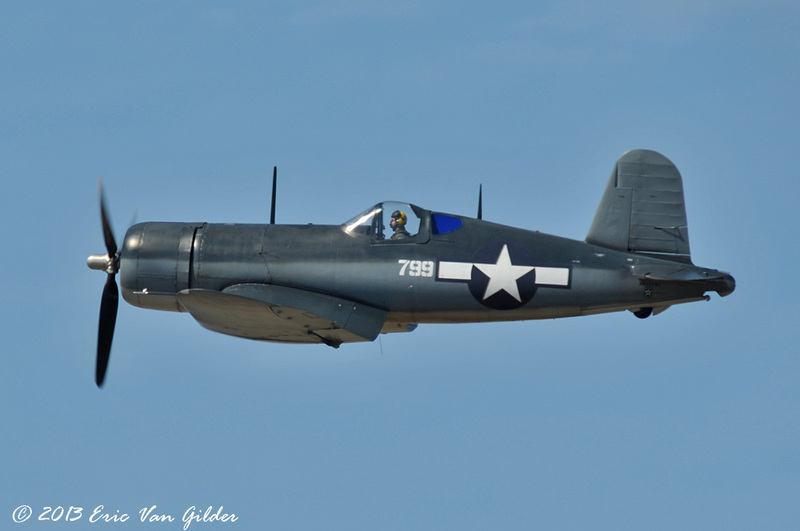 The Vought F4U is perhaps one of the most recognizable WWII Pacific fighters because of the gull wing design. 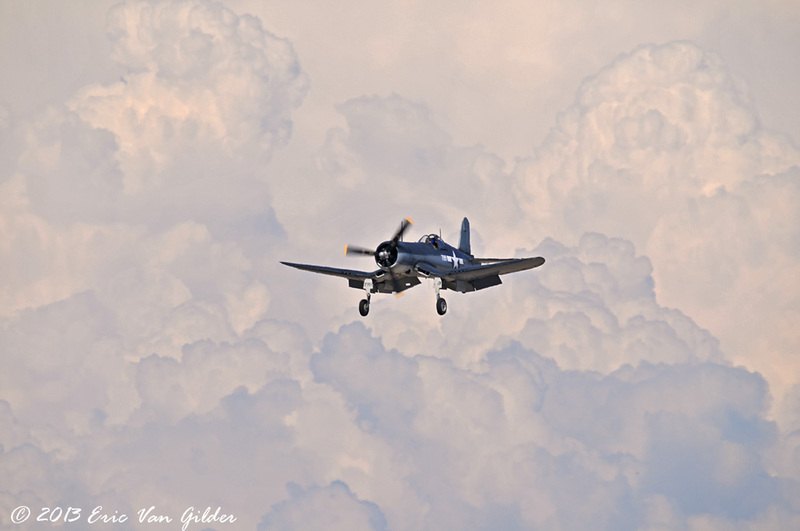 The gull wing design came from the necessity of having a 13 foot diameter propeller on the front of the airplane to take advantage of the large engine's horsepower. 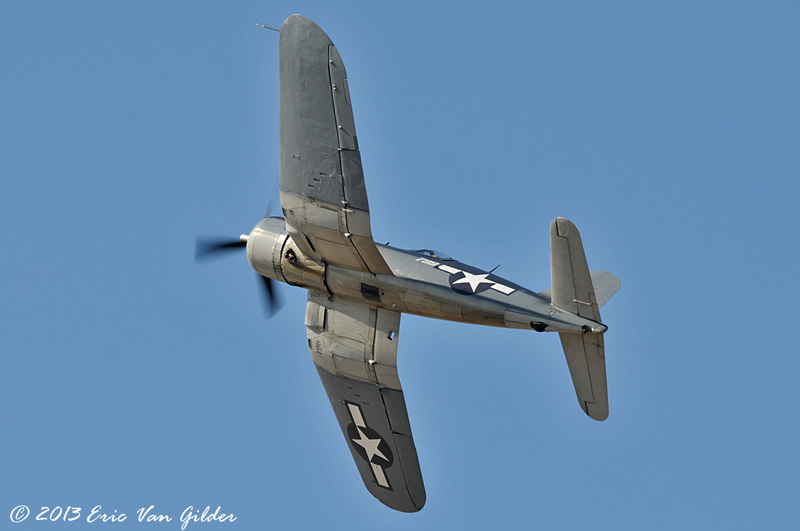 Having gull wings led to shorter landing gear struts. 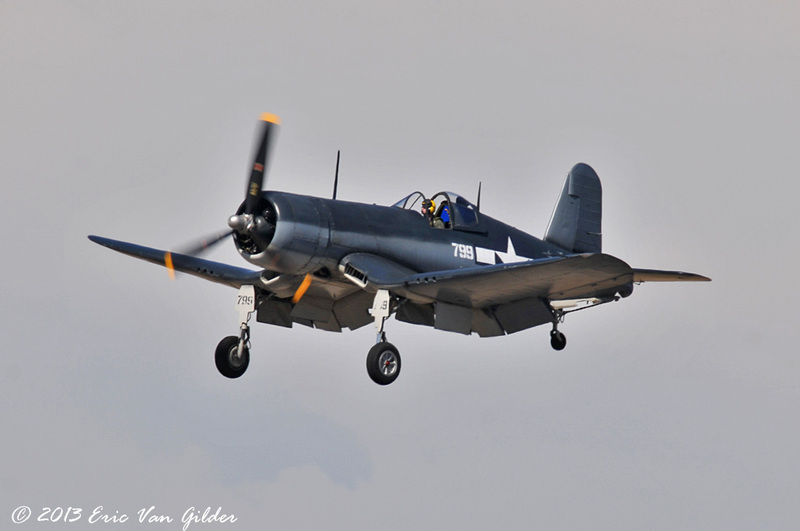 It was figured that longer landing gear legs would make the landings on carriers more bouncy. 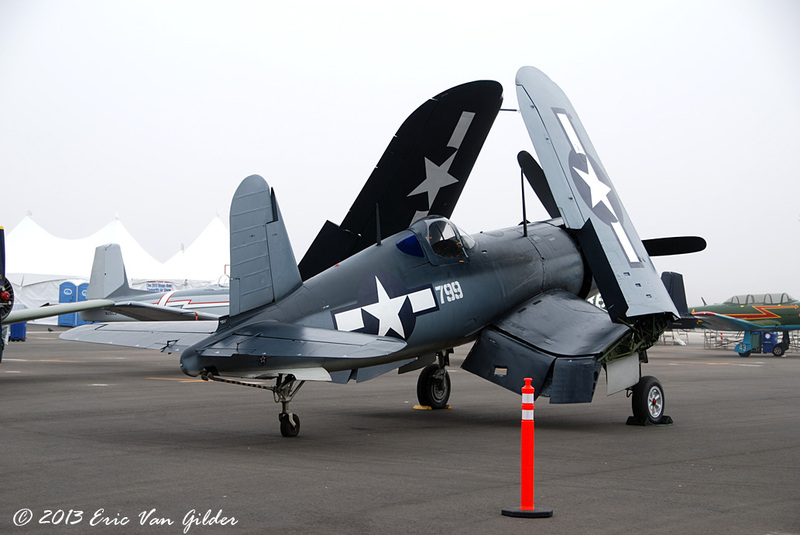 Longer legs would mean more weight as they would have to be strong to be able to handle carrier landings. 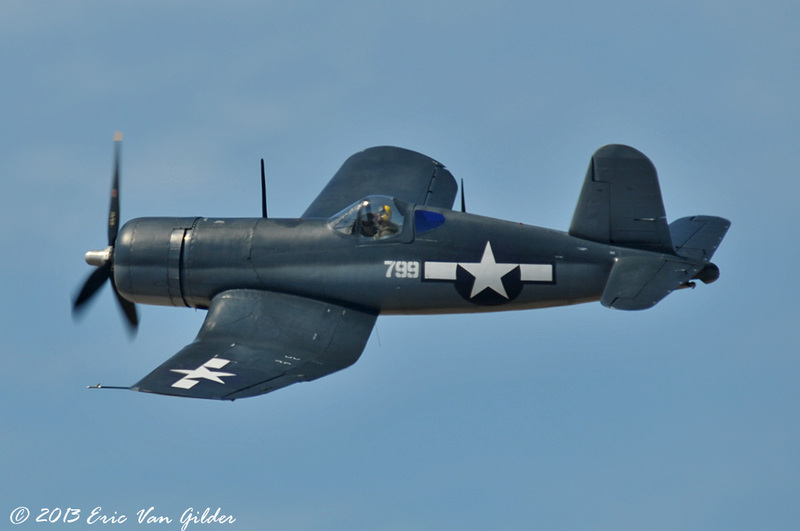 Despite this, early Corsairs were land based because of the length of the nose coupled with the cockpit placement led to very poor forward and downward visibility. The British were the ones to come up with the approach to the carriers that led to their usage from carriers by both Britain and the United States. 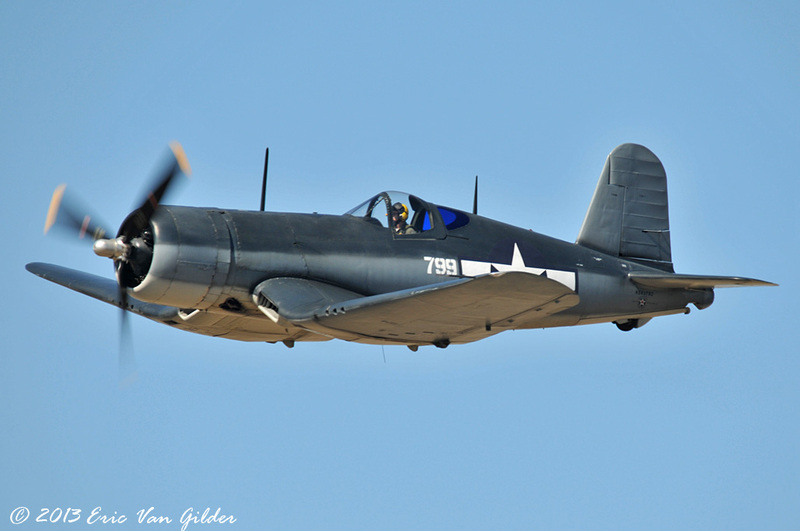 This Corsair is an F4U-1, and is the oldest Corsair still flying. 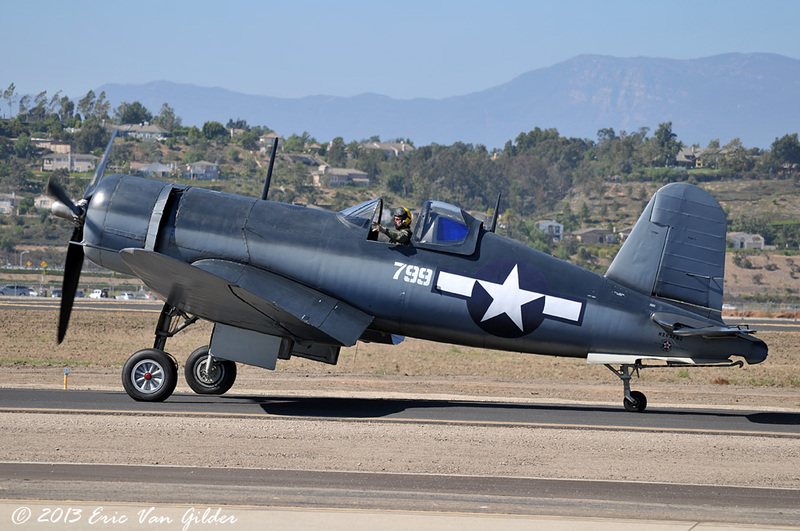 It is based in Chino as part of the Planes of Fame Museum.